In 1998, the Chick-fil-A Cow Calendar was born. In fact, the cow calendars are one of the most popular calendars on walls across America today! The opportunity for Chick-fil-A of Canton, was distribution in 2016. How could their stores make their allotment of cow calendars available to the most customers possible? The answer was painfully obvious….an e-commerce website. 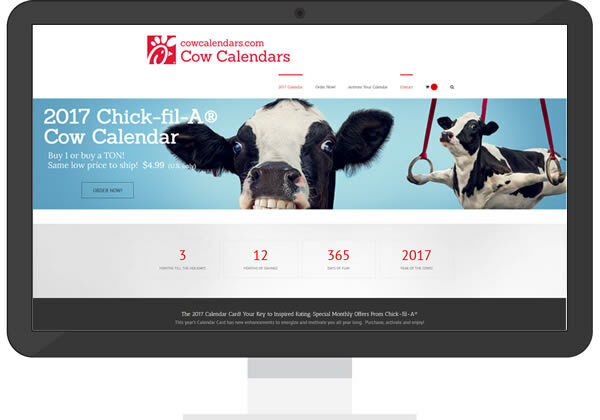 Sisson Media worked with Chick-fil-A to quickly bring the concept online and sales began immediately all over the country through www.cowcalendars.com. The site is clean, mobile friendly, and allows customers to purchase the 2017 cow calendar easily…all online. UPDATE ON THIS PROJECT: In early November, after a phenomenal run online with traffic and sales building the local operator of this site was asked to take the website offline by Chick-fil-A corporate. The fact that he was selling his store calendars outside his physical location was not sitting well with other owners perhaps. Whatever the official reason, it was highly unfortunate and disappointing with the holidays coming on. The project itself was a huge success in selling the calendars online for the time that it was live and functional! There was so much traffic to the site thanks to the rankings the site held (and still holds today) that we had to replace the site with a blank white page. 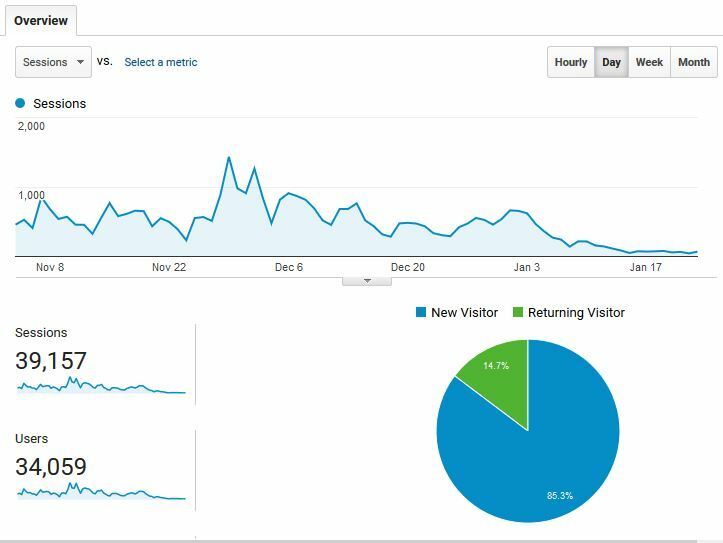 Below, is a screen shot from Google Analytics AFTER the site was taken down. We left tracking code on the blank white page to measure activity after November 4th, 2016. As you can see, there were over 39k sessions registered and 85% were NEW visitors….unreal. Traffic actually continued to spike to just under 1,500 visitors per day by the end of November before gradually tapering down to January’s average (yes, two months after shutting down) of 50-60 visitors per day.